To Know Jesus and each other through a one-on-one lay ministry to bear one another’s burdens; To Grow to be like Him as a refuge for the hurting; And to Sow His love in word and deed by confidential, Christian caregiving. Each person will be equipped to joyfully and boldly provide help, hope, and healing care by listening, caring, praying, supporting, and encouraging those who are in heed and hurting. We value high-quality, distinctively Christian lay ministry. We demonstrate this value by equipping people through Stephen Ministry. We value people and want them to experience the love of Christ, especially when they are hurting, troubled, or in need. We demonstrate this value by ministering to people through Stephen Ministry. The structure of Stephen Ministry involves 50 hours of classroom learning prior to commissioning. This is followed by 2.5 hours of continuing education and peer supervision twice monthly thereafter. The initial 50 hours of training covers the first 18 modules listed below. The remaining 7 modules are covered in the continuing education/peer supervision meetings that happen twice monthly thereafter. 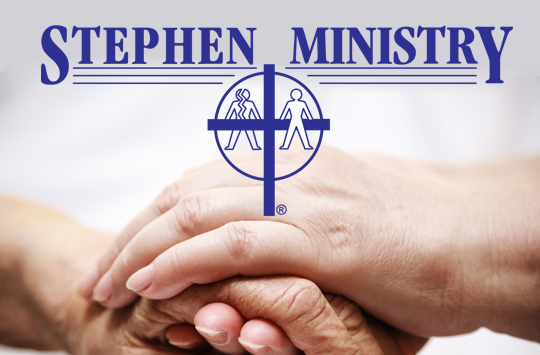 Stephen Ministers are asked to commit to 2 years of participation when they volunteer to participate in this ministry, then asked annually to recommit.